There are more than 850 projects on OpenNTF and many different types of projects which makes it sometimes hard to find the projects certain types of developers are looking for. In order to address this OpenNTF introduces the notion of "project spaces" to group similar types of projects together. Example spaces could be everything related to social or everything related to IBM WebSphere Portal. OpenNTF contributors can request spaces if they have contributed several projects and have planned to contribute more projects. The space owners can then ask to move certain projects into their spaces. The combination of spaces and the API then allows building landing pages for certain types of developers sharing the same interest. 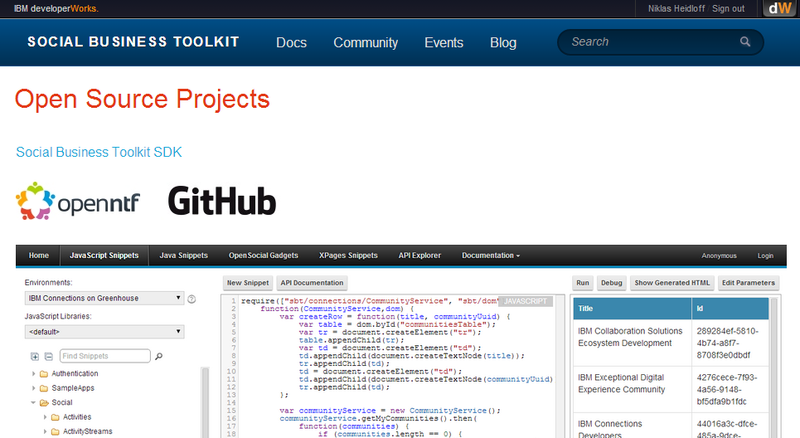 Check out a sample page on developerWorks that shows how IBM Connections open source projects can be displayed. Please note that there are currently security issues because of the combination of https and http. In order to see the data showing up use Safari or Chrome and allow unsafe scripts.